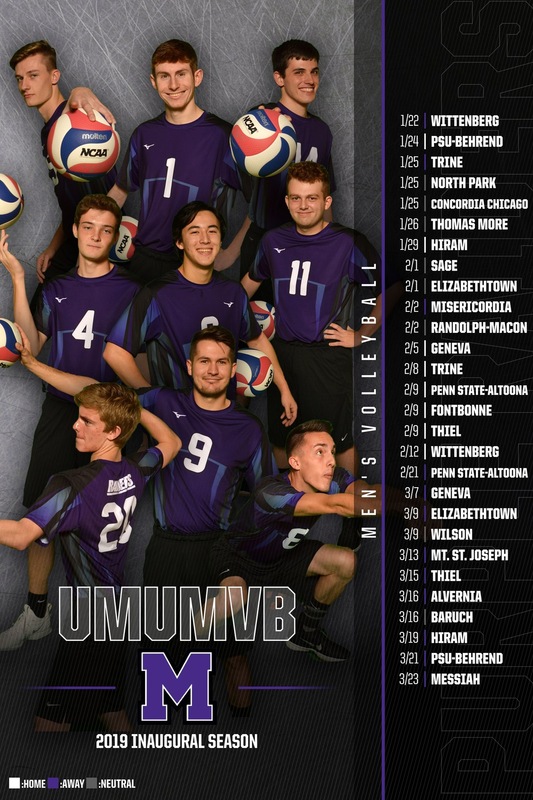 ERIE, Pa. -- Mount Union's men's volleyball team rallied from two sets down but ultimately fell 3-1 at Penn State-Behrend Thursday at the Junker Center. The Purple Raiders fall to 8-19 overall while Penn State-Behrend is 12-7 after the win. Mark Bruns (Columbus / Upper Arlington) had 15 kills, Jeremy Leyden (Cuyahoga Falls / Akron Hoban) had 31 assists to pace the Mount Union offense while Steven Grenier (Hawthorn Woods, Ill. / Lake Zurich) had 12 digs and Kaleb Krebs (Pittsburgh, Pa. / Seton La Salle) had five blocks. Behrend quickly won the first two sets 25-14 and 25-14 but Mount Union rallied and got three key kills late from Jordan Spurling (Columbus / Groveport Madison) to win the third set 25-23. Mount Union led early in the fourth set 3-2 but Behrend took command and went on to the 25-23 win. The Raiders wrap up their inaugural season Saturday at 4 p.m. at Messiah (Pa.).